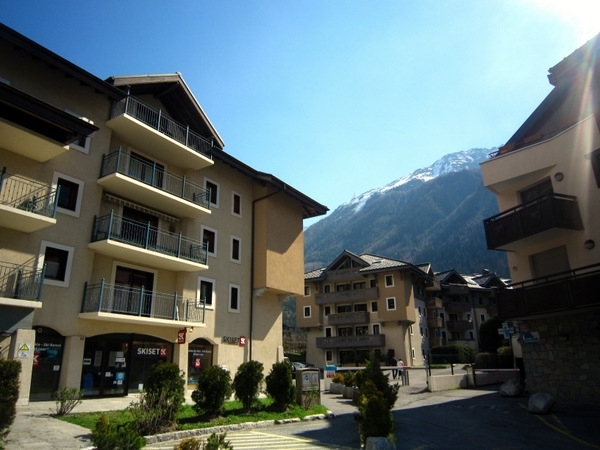 Apartment Hill apartments benefit from their location and also nearby facilities - just outside the building there is a free bus stop to take you to all the ski areas as well as being a minute walk to the abundance of eating and drinking venues in the centre of Chamonix. It is ideally positioned fr the ski lifts too - only 5 minutes walk tothe Aiguille du Midi, Les Planards, Savoy ski lifts and also to the Maison de la Montagne - the main ski school in Chamonix . The railway station is about 2 minutes walk on foot. Built in local Savoyard stone and wood, this residence offers the most fabulous views of Mont Blanc. 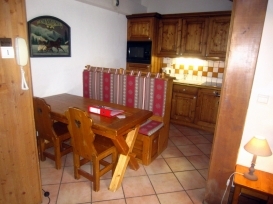 Despite its central location the apartment is set in its own grounds and therefore enjoys peaceful surroundings. It comprises of 32 apartments above a small square. 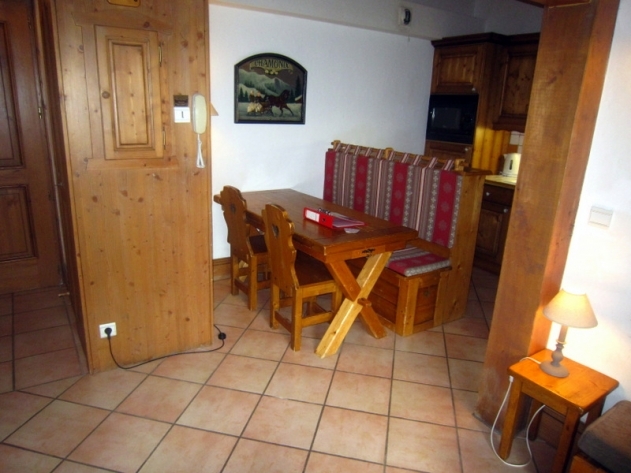 On the ground floor of the building there is a good Savoyard restaurant, an excellent bakery and friendly ski-shop. Across the square there is a launderette and a friendly English speaking brasserie/ cafe. The basement of the building includes a secure ski locker and a booting up area and there is a secure car park space available for use with each apartment. Apartment Hill is an extremely light and spacious apartment with lovely high wood paneled ceilings in the living areas and bedrooms offering the best views of the Chamonix valley. As previously said, it benefits from the use of an on site private gym, sauna and swimming pool. 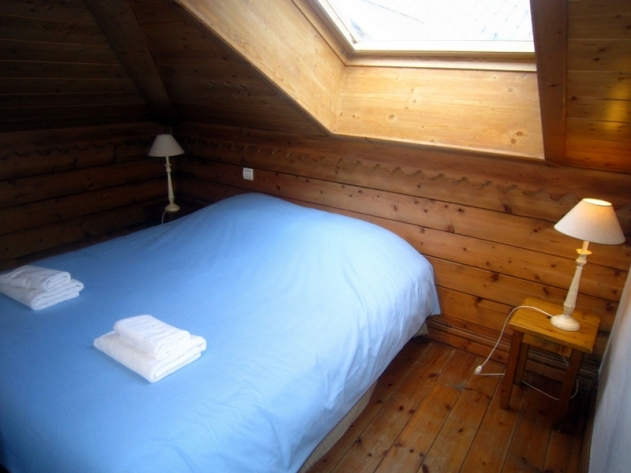 The apartment sleeps up to 6, with 2 bedrooms and a comfortable double sofa-bed in the living area. The kitchen is fully equipped with a full-size oven/ microwave, four-ring halogen hob, extractor fan, dishwasher, fridge-freezer plus a breakfast bar. The lounge has a comfortable 3 seater sofa which converts to a double sofa bed, a coffee table and seating around a wooden dining table, plus a flat screen TV and DVD player. 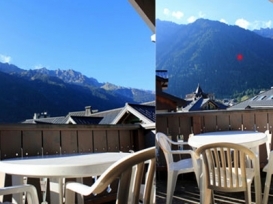 Sliding patio doors take you out onto a balcony with magnificent views up towards Breent and the Mont Blanc Massif. 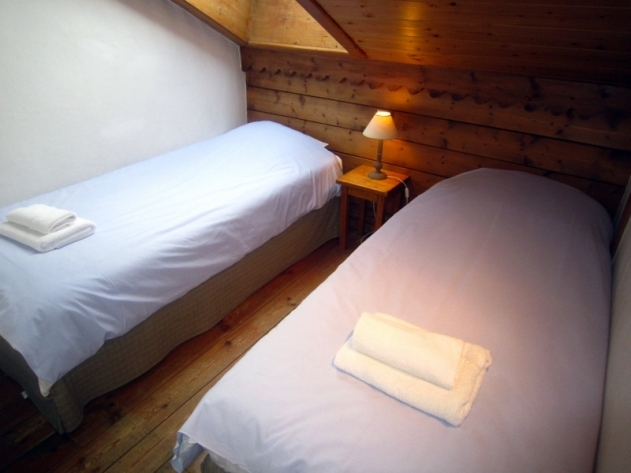 Bedroom 1 has a double bed, bedroom 2 has twin beds. 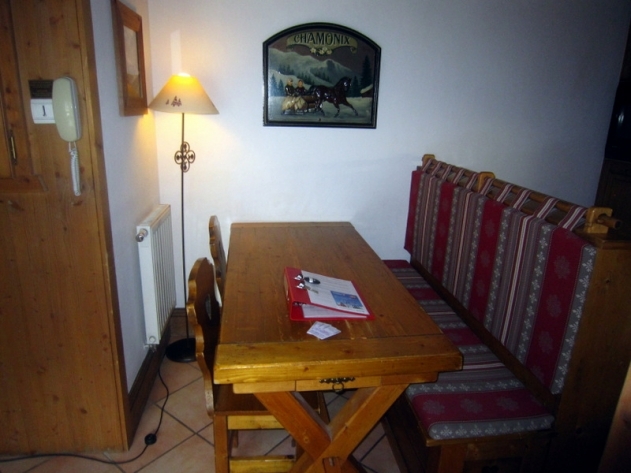 All have storage space, bed sides tables and lamps. 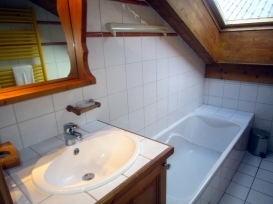 The family bathroom has a shower, full size bath, full size basin, plenty of cupboards and a heated towel rack. There is a separate WC. The hall has an additional cupboard for extra storage. The balcony is also equipped with outside furniture. 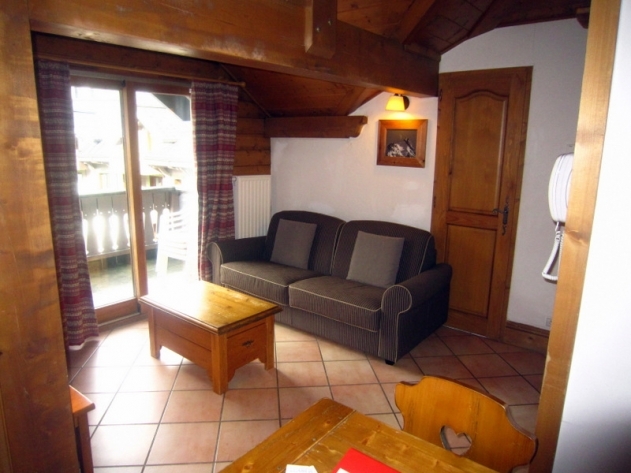 It is a great place in which to be based to enjoy all that Chamonix has to offer. 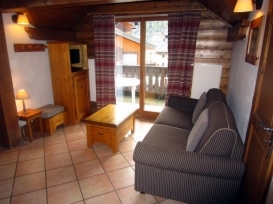 Wireless internet is available to MyFrenchChalet clients at the Ginabelle reception (payment required). There are other apartments in the same building making larger groups possible.